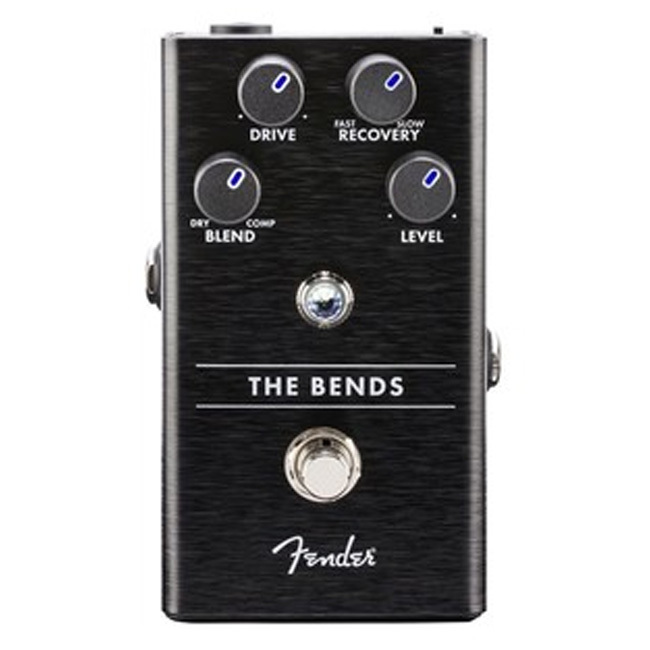 While Fender has released a number of innovative effects pedals throughout the years—some of which, like the Fender Blender fuzz octave and the Fuzz Wah (which pivots back-and-forth and side-to-side), have found cult followings—the company has made only minor efforts to get in on today's booming effects market. While boutique manufacturers continue to create unique offerings for welcoming audiences, the company in recent years has stuck with budget-friendly pedals like the Drive and Chorus and utilitarian units like the Micro Compressor and ABY switcher. Today, Fender announced a new line of six feature-rich and sleekly designed pedals, housed in classy aluminum chassis with amp jewel LEDs serving as their only ornaments. 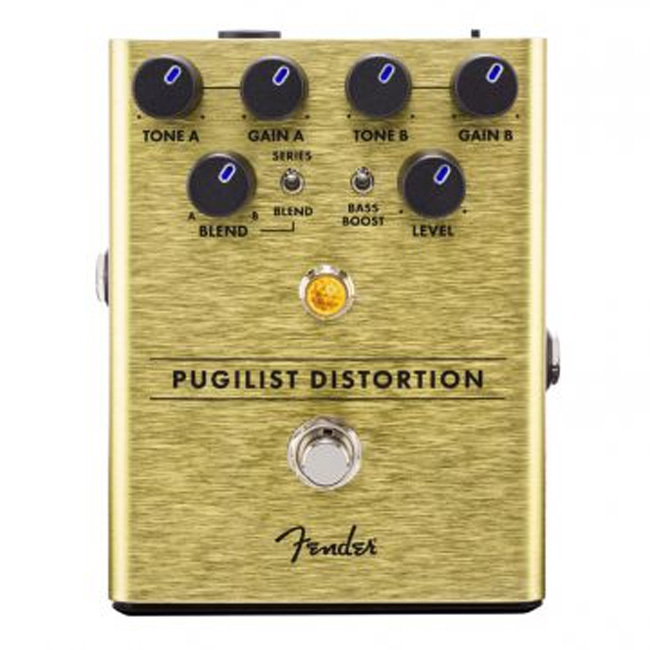 The Pugilist Distortion has two gain stages with independent controls, which can be used individually or stacked to taste with the blend control. The gold aluminum pedal also includes a bass boost switch to fatten up your tone. 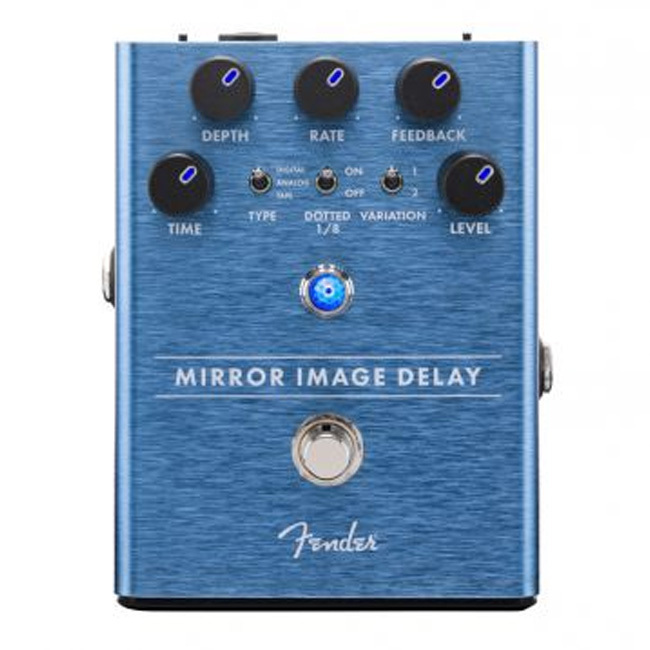 The Mirror Image Delay features analog, digital, and tape delay sounds, with two variations of each, and an additional switch to add a dotted eighth note rhythm if you wish. The Bends Compressor promises to tame the dynamic range of your signal without compromising your tone, while the Recovery and Blend knobs allow you to dial in just the right amount of compression. 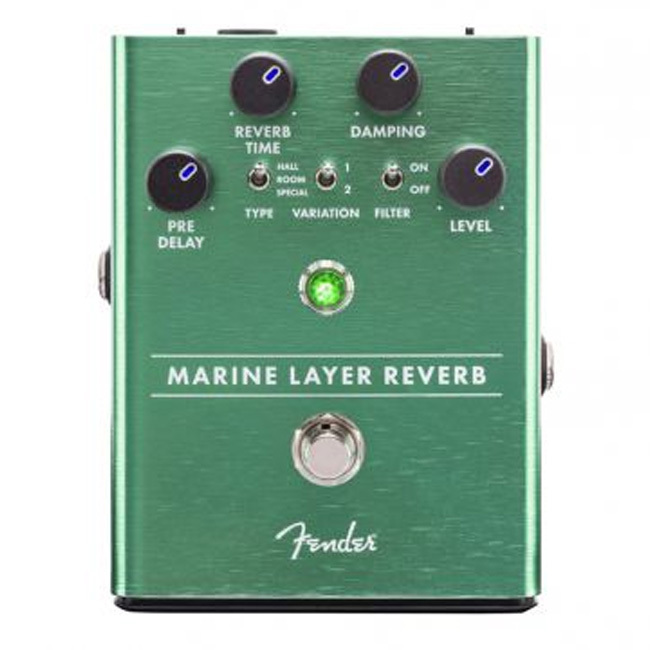 The Marine Layer Reverb, which comes in an appropriately seafoam green chassis, features three different settings—Hall, Room, and Special, with two variations of each. The stompbox boasts a useful feature with its reverb tails, which will continue after you deactivate the stompbox in order to decay naturally behind your next, reverb-free chord. 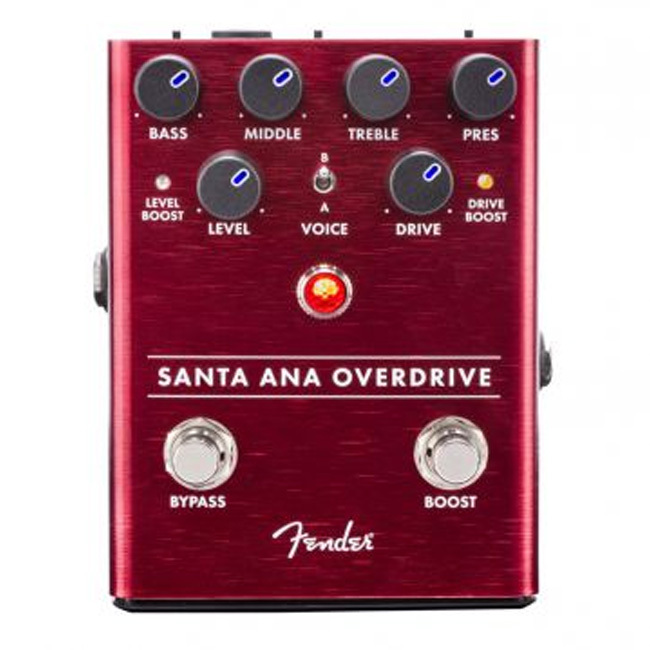 The Santa Ana Overdrive is a FET-based OD that promises a range of edge-of-breakup to fully saturated tones. It comes with two switchable voices, a three-band EQ, and both a Bypass and Boost footswitch. 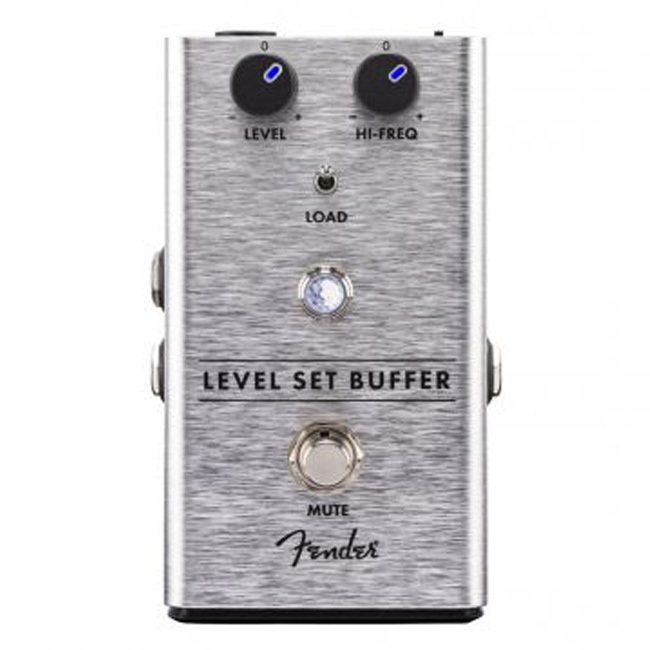 The Level Set Buffer is the most utilitarian of the new offerings, which allows players to maintain an even signal strength throughout a performance, even when switching instruments. It also includes a Mute switch and a high frequency filter.